As an expert who understands the environmental and engineering problems involving ice and permafrost, Dr. Vladimir Romanovsky, Professor of Geophysics at the Permafrost Laboratory at the Geophysical Institute of the University of Alaska, Fairbanks, discusses the current state of permafrost and what kind of research has been done and remains to be done. What is the current state of permafrost in the polar and sub-polar regions? We have much more information from the Northern Hemisphere than we do from the Southern Hemisphere. There are more opportunities to conduct research and collect data on permafrost in the Northern Hemisphere since there are more people living in the Arctic and sub-Arctic regions than in the Antarctic and sub-Antarctic regions. Nevertheless, thanks to the International Polar Year (IPY), we were able to gather the data collected on permafrost at sites from around the world in one place under an IPY research project called the Thermal State of Permafrost. This project looked at permafrost in both hemispheres. I can talk more comfortably about the state permafrost in the Northern Hemisphere because I’ve been involved in that part. At the moment we have data covering pretty much all of the major areas of permafrost distribution in the Northern Hemisphere, and the picture is pretty coherent: During the last 30-40 years (which is how far back we’ve been collecting data on permafrost), we’ve seen an increase in the temperature of the permafrost in most of the places where we’ve been sampling. This increase isn’t uniform, and a common feature we’ve been seeing is that the colder the permafrost, the more quickly it’s warming. Many of the sites in the northern Hemisphere we’ve sampled are very warm permafrost sites, which means they are close to the 0°C threshold for ice melting. We also don’t have any sites where we’ve seen long-term cooling. By long-term I mean over a decadal time scale. This doesn’t mean there haven’t been fluctuations on a time scale over several years – for example permafrost in the interior of Alaska has been cooling over the last four to five years. However these fluctuations tend to be short-lived. The general trend – including in the interior of Alaska over a longer time scale – has been that permafrost temperatures have been increasing in practically all locations in the Northern Hemisphere. The longest continuous time series goes back to the mid-1970s. We have a few occasional measurements dating from the 1940s and 50s. The ones that go the furthest back are from Russia as well as measurements taken by the US Geological Survey around Barrow and a few other places in Alaska. But there’s a gap in data collection in the early 1970s, so only since the late 70s have we had continuous time series for Alaska and other places. What methods do you use to determine how the soil has been changing? We measure the temperature of the soil by drilling boreholes or using existing boreholes from previous surveys. It’s a very costly process and there’s a whole permit process you have to go through. But right now, we have about 860 boreholes, with most of them in the Northern Hemisphere. The active layer of the soil – the part of the soil above permafrost that thaws in the summer and re-freezes during the winter – is measured using a different technique. The most common and simple technique involves sticking a probe in the soil until it reaches the frozen layer of soil and measuring its depth. We do this at the end of the thaw season in late August or September depending on the location to determine the maximum extent of the thaw. Another part of the Thermal State of Permafrost project consisted of measuring the depth of the active layer of the soil at many sites around the Arctic and Antarctic. This gave us a very interesting picture of the dynamics of the active layer depth. The measurements of the active layer of the soil started much later than measurements of the permafrost. We don’t have very much data on the active layer prior to the mid-1990s. There are sites that have records going back a bit further, but there are only a few of them. We’ve seen a significant increase in the depth of the active layer in northern Siberia and the interior of Alaska, but not too much increase on the North Slope of Alaska, although the average temperature of the permafrost has increased by 3°C over the past 30 years on the North Slope. But this can be explained: The depth of the active layer of the soil usually reflects the temperature conditions during summer, while the recent warming of the permafrost is mostly related to warmer winter conditions. So at the sites where the average temperatures have been increasing more in winter than in summer – and this is common for most of the sites we’ve sampled – we’ve seen little change in the active layer. But at some sites there has been a lot of warming during the summer, and here there has been an increase in the active layer. What concerns are related to the thawing and degradation of permafrost? There are many concerns. Some of them are more local and regional – mostly related to how thawing permafrost affects ecosystems and have a negative impact on infrastructure like buildings, roads and other man-made structures. This is a major concern for people who live there and industries that do oil, gas and mineral extraction. And of course on a global scale, the release of greenhouse gasses such as carbon dioxide (CO2) and methane (CH4) as the permafrost thaws is a concern, since this will have an effect on the global carbon cycle. It’s important to remember that even a slight warming of the permafrost without too much thawing can have significant effects. In the case of infrastructure, warmer permafrost is not as rigid and is consequently a much less firm basis for building. How much warming would be needed for there to be significant effects on ecosystems and for a significant amount of greenhouse gasses to be released and affect the carbon cycle? We’re seeing significant amount of thaw already, at least in the Northern Hemisphere. The areas of thawing permafrost are increasing and the southernmost boundaries between continuous and discontinuous permafrost are moving northward as well as the southernmost boundaries of discontinuous permafrost. As far as ecosystems are concerned, we’ve been seeing a change in hydrology, which has a significant impact on ecosystems locally. The availability of water to a given ecosystem is a major factor that determines which flora and fauna can live there. 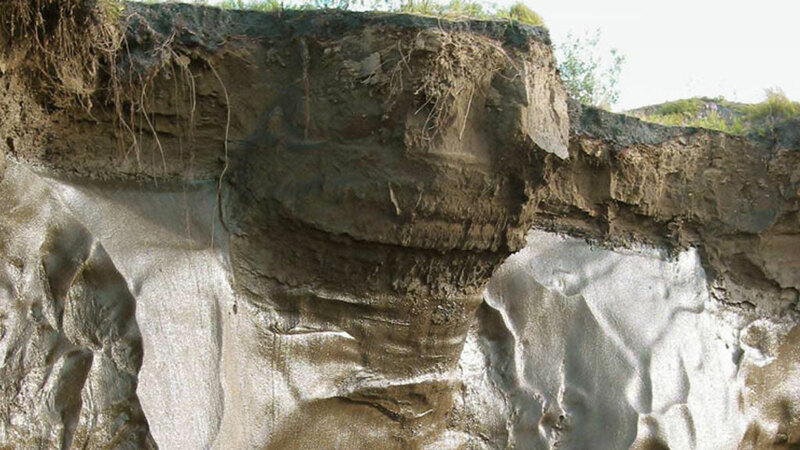 Depending on the soil, topography, and drainage conditions, the soil can either become waterlogged as the permafrost thaws, or the soil can dry out as the water above the thawing permafrost drains away. We’ve seen both situations happening already: boreal forests are either turning into bogs, swamps or wetlands when there’s too much water (for example in the Tanana Flats near Fairbanks, Alaska), or they are turning into grasslands or steppe-like ecosystems when conditions become too dry (examples can be found in Mongolia or in East Siberia). As for effects on the carbon cycle and the release of greenhouse gasses into the atmosphere, we’re already seeing significant impacts from this. Several groups of scientists have been having a look at this (including papers by Ted Schuur et al which was published in 2009, as well as papers by Sergey Zimov and Katie Walter), and we have evidence that thawing permafrost is releasing at least carbon dioxide and possibly also methane to the atmosphere. We’re seeing this even with the very moderate degradation of permafrost that’s happening right now. All climate models predict average temperatures to be warmer by the middle to the end of the 21st century, and permafrost projections show that by the end of the century, at least half of the recently stable permafrost area will experience some degree of degradation. So it means that the thawing of permafrost will become much more common than it is right now as the century progresses, and we’ll likely start seeing a significant and noticeable impact of thawing permafrost on the carbon cycle. With thawing permafrost releasing greenhouse gasses, could a positive feedback loop develop? What we’re seeing now is an increase in greenhouse gasses emitted form thawing permafrost. However this release is only measured very locally, so we don’t know how carbon is being released into the atmosphere due to the fact that researchers have only taken measurements at a limited number of sites where the release of greenhouse gasses has been measured. But it’s definitely a question of exactly how much greenhouse gasses will be released. If the amount of greenhouse gasses released does become significant, then of course this will eventually create a positive feedback situation: if the amount of greenhouse gasses released into the atmosphere is large enough, then it will produce additional warming, which will then trigger more permafrost thawing, releasing more greenhouse gasses, and so on. This is a typical example of a strong positive feedback situation in the Arctic system. Where are we in terms of understanding permafrost? What else needs to be done in terms of research? The general understanding of what’s going on is pretty much there. The IPY helped a lot by building up a global network of permafrost sampling and permafrost researchers. It was very international. More than 30 countries participated in permafrost research during the IPY. From the network of sites we have put together, we’ve been able to obtain a coherent picture of the changes permafrost is undergoing. On a hemispherical scale, we have a good idea of what permafrost is doing. But there are still many big gaps that remain. The current network of sites we have now is uneven: in some places we have good coverage, and in others we don’t. This means we don’t fully understand what’s happening to permafrost regionally in some areas. All we can do is to interpolate; if we know permafrost is warming in one place and it’s also warming in another, then we can reasonably project that permafrost is also warming at a point in between. But it would be better to have more data. The permafrost network should continue to be supported, continued and improved. However I think a very important part of the work we need to do going forward is to try to answer the questions: So what if permafrost is warming? So what if permafrost is thawing? What we really need in order to answer these questions are scientists from a wide variety of disciplines joining their forces together. We need biologists, biogeochemists and also social scientists to help answer these questions, and so far, this aspect hasn’t been developed very well. Something else that hasn’t been developed enough is including in climate models all the possible positive and negative climate feedbacks related to changes in permafrost. There is some understanding now from the modelling community; however they have their own priorities, and right now they think that clouds are the first thing they should look at. I agree that it’s important to look at the role of clouds, but missing one of the biggest feedbacks in the Arctic system makes your predictions much less certain, I believe. There is an urgent need to include permafrost dynamics in climate models. Have any models which include permafrost been developed? There have been some very good developments over the past five to ten years. But some of the models that include permafrost dynamics don’t represent the dynamics very well. 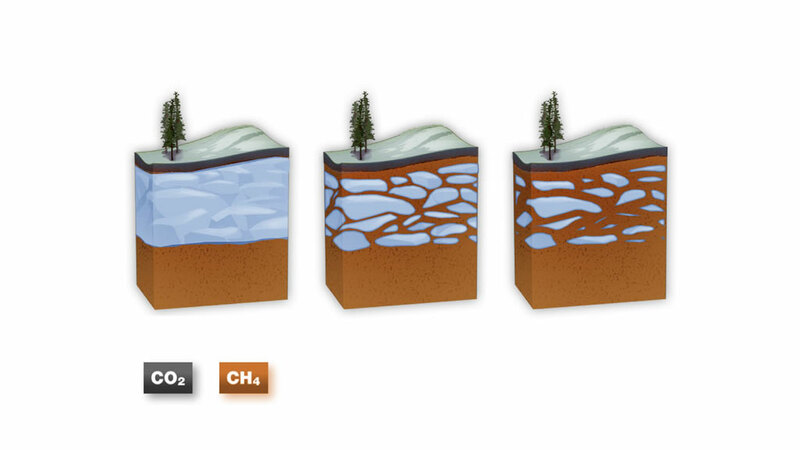 For example, you can’t determine freezing and thawing of permafrost based strictly on these models. Even the most advanced models which include some components related to permafrost haven’t incorporated feedbacks related to changes in permafrost in relation to the heat and mass exchange that takes place at the ground surface. And they don’t model what’s happening in the carbon cycle in relation to changes in permafrost. All of these important processes have not been incorporated into the models, so we can’t expect them to accurately predict what will happen – even the most advanced models. Another problem related to these models has to do with the scale. A lot of the important process related to permafrost are happening on a finer, local scale. So there needs to be a special approach or technique that allows these local processes to be included in the models. I understand this is a difficult task, but it needs to be done to have more accurate models. Are there any efforts underway that would do a better job of integrating permafrost into the models? There are several groups currently working on this problem. One of them at the University of Colorado at Boulder, including someone I’ve been working with, Dave Lawrence. They’ve been making very good progress in this and are working hard to make progress. There are also several groups in Europe as well – in France, Germany and the UK, who also understand the problem and helped to drive the progress that was made in the past few years. But the solution definitely requires an intensive effort. Besides the Thermal State of Permafrost project, what were some other permafrost-related activities from the IPY? Another one was the Carbon Pools in Permafrost Regions (CAPP) project, which was led by Peter Kuhry and his colleagues, and made very good progress in determining the amount of carbon sequestered in permafrost, as evidenced in the papers they published. We now have a much better idea of how much carbon is sequestered in permafrost – at least for the Northern Hemisphere in the Arctic and sub-Arctic, where we’ve had much more extensive surveys. It’s not a perfect estimate – in fact it might even underestimate the amount of carbon sequestered in permafrost since not all areas have been included. But it’s the most comprehensive work that’s been published so far. A third permafrost-related IPY project was the Arctic Circum-Polar Coastal Observatory Network (ACCO-Net) which is a continuation of the Arctic Coast Dynamics project looked at permafrost dynamics in coastal regions in the Arctic. This was a very good project because it looked at the significant amount of materials including carbon from thawing permafrost which had been delivered into the Arctic Ocean. Volker Rachold and Pier Paul Overduin were the leaders on this project, and there was a lot of international participation on this. So the Thermal State of Permafrost, the Carbon Pools in Permafrost Regions and the Arctic Coast Dynamics projects made a lot of progress – not just in developing a network, but also progress in reporting on it. The Thermal State of Permafrost project was able to publish a series of papers on the current thermal state of permafrost from around the world in the journal Permafrost and Periglacial Processes just in time for the IPY Oslo Science conference in June 2010. This is a nice collection of papers which gives a good idea of what we currently know about the thermal state of permafrost from around the world. Would you say that enough is being done with regards to addressing the problems of thawing permafrost? It’s understandable that there’s a lot of interest about changing permafrost and how this affects the carbon cycle and can lead to the release of greenhouse gasses. It’s a global problem. However thawing permafrost has been having a lot of regional and local effects. There has been a lot of attention paid to this issue, but there has been little progress. The global picture of permafrost can’t always help out with problems on a local level. We need to provide specific information about specific locations, which most of the time isn’t available. There need to be special efforts to help the communities who live in the areas being affected by permafrost. One idea would be to create a community-based observational network, which is possible now because of the development of measuring techniques to help locals track what’s happening to the permafrost and understand what these changes could mean for them. But it’s also a two-way knowledge-sharing process. Local indigenous communities have a certain kind of knowledge about what’s happening to the permafrost and what could happen, which can be beneficial to the scientific community. We’re going to need to involve both local indigenous communities and the scientific community to help solve this problem. This should be the next step. Local governments have an idea about what’s been happening, but little action has been taken so far. What kind of actions would you like to see undertaken? What firstly needs to be done is an assessment of which problems exactly are associated with changes in permafrost, and once you understand what the problems are, try to monitor what’s happening, and that’s where this community-based observation networks can help a lot. And on top of this, there’s the question of what to do with regard to adaptation to the changes taking place. This might require much more than local community involvement, and would likely require local and regional governments to get involved. Dr. Vladimir Romanovsky is a Professor of Geophysics at the Permafrost Laboratory at the Geophysical Institute of the University of Alaska, Fairbanks. He is a renowned expert in the environmental and engineering problems involving ice and permafrost and works towards improving mathematical models describing geophysical phenomena.